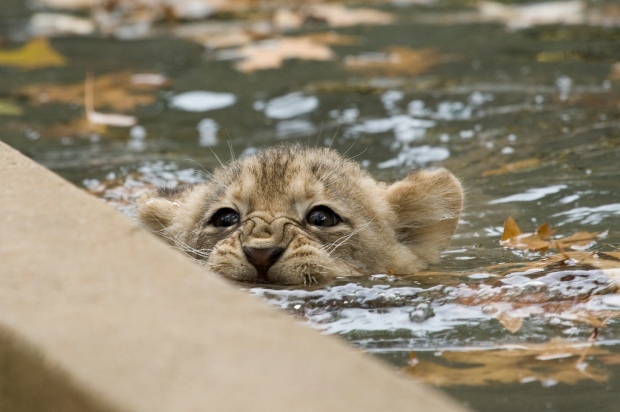 Seven new lion cubs are making their debut at the National Zoo. They'll first meet fans at a private event Saturday, and then meet the public on Monday at the earliest. Zoo staff will then decide on a daily basis whether the cubs will go out each day. 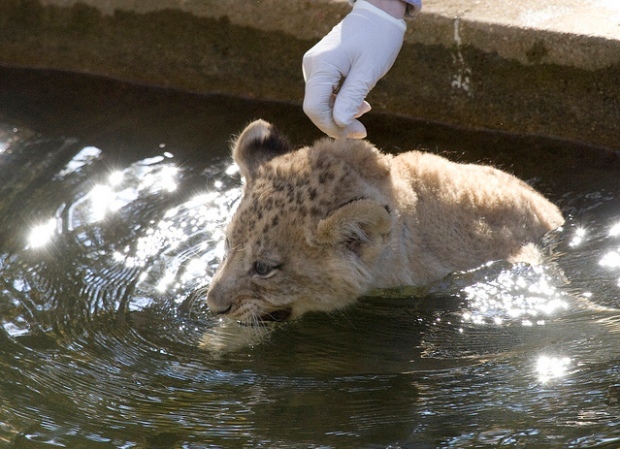 One cub has already been named Aslan, and the rest of their names will be announced Saturday. The babies are a bit more than three months old -- one litter was born Sept. 22, and another in late August -- and they are, obviously, beyond cute. Rebecca Stitz, who's in charge of cats and bears at the zoo, said they wouldn't be likely to survive in the wild. "Various reasons -- it could be a male that takes over the territory and kills off the cubs. It could be that other predators have killed them," she said. But no worries about that here. Naba, mom to three of the cubs, made it perfectly clear to dad Luke that he better play nice. "A deafening snarl right in Luke's face... and he dropped to the floor [and] rolled on his back. He definitely showed he knew she was in charge," Stitz said.